13 books I can’t wait to read in 2016. Over the past few weeks I’ve loved taking a look back at my favorite books of 2015. Now I’m ready to look ahead to the books being published in the coming year. This is nowhere close to an exhaustive list, but a small sampling of the books I can’t wait to read this year. 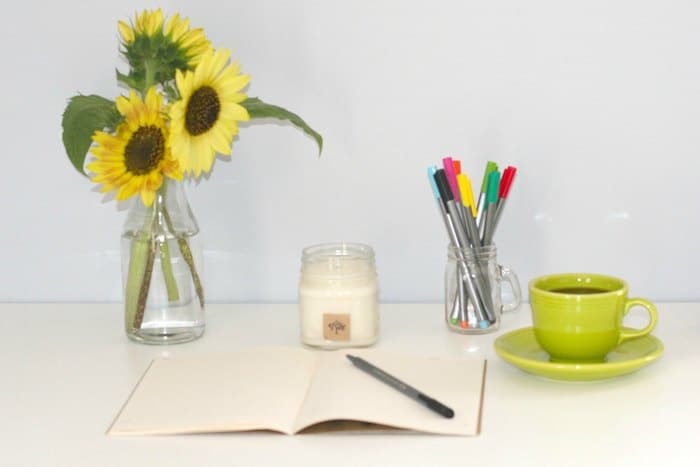 A note about this list: when I share a book list post here on MMD, I usually read all the books first. Not so with this list of coming releases. 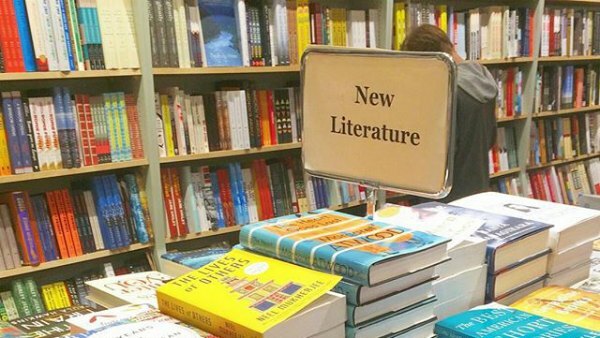 I have high hopes for 2016’s new titles, but I haven’t read them yet. 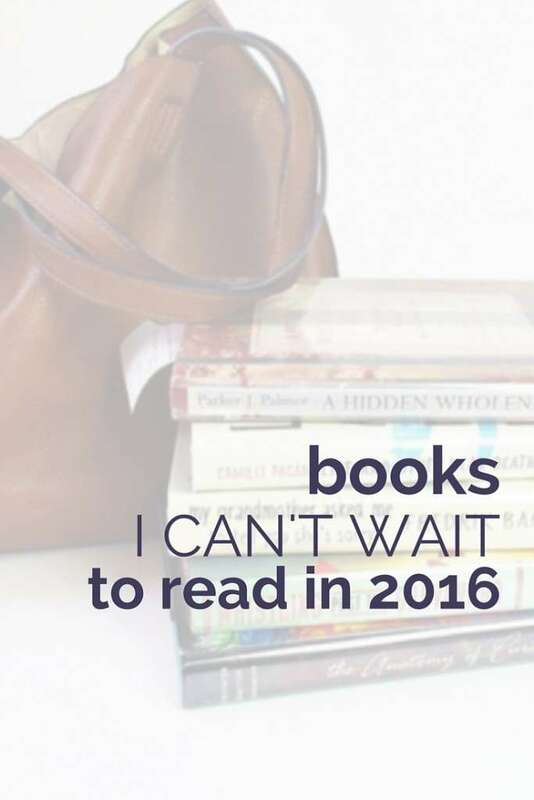 What are the books YOU can’t wait to read in 2016? My reading list just got longer! Thank you for these titles! Just what I needed for that category of the reading challenge. There are some great sounding books here. Particularly looking forward to Eligible, Heartless, and The Summer Before the War. 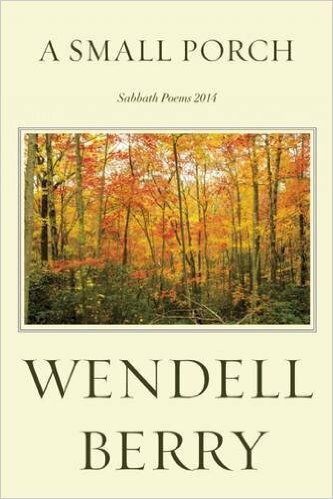 Also, I keep seeing Wendell Berry on your blog but had never heard of him before. What are his books comparable to and where would you recommend starting to try him out? Thanks! Wendell Berry reminds me of Marilynne Robinson and Wallace Stegner. He writes thoughtful stories characterized by beautiful prose. I’d start with Jayber Crow (it’s my favorite) or his essay collection, What Are People For? Thanks so much for this! 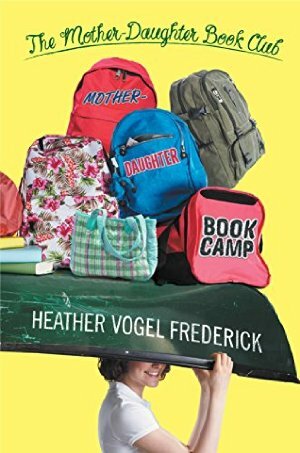 I can’t wait for the last in The Mother Daughter Book Club series. I started the series based on your recommendation and now I constantly recommend it to my students! I am looking forward to Heartless for sure! I’m on the fence about Flight of Dreams. I thought The Wife, The Maid and the Mistress was good, but it lacked a connection between me and the characters. I didn’t feel attached to them at all. Love the idea of a book about the Hindenburg though! I felt the same way about The Wife,The Maid and the Mistress. At the end of the story I was more or less glad to just get it over with even with the ending being a surprise. I have to say I am not super excited about her new one. It won’t make it to the TBR list unless I see a lot of people loving it. 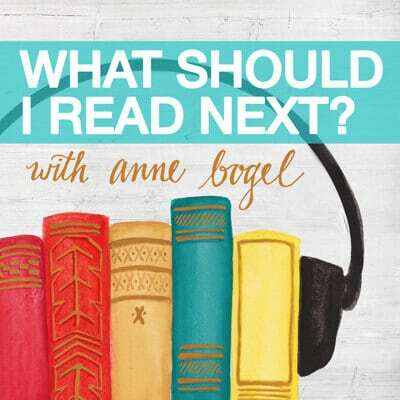 Sara K. can you tell me a few books you have always wanted to read ? I really enjoyed all three books in the Inkheart series! As usual, I preferred the books to the movie. Hope you enjoy reading the others, too! The Mary Stewart books are great, don’t pass them up! 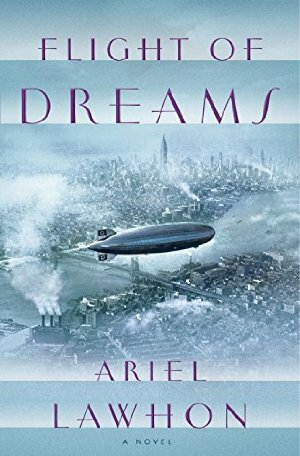 I read an advanced copy of Flight of Dreams. I really enjoyed it! It is really best for historical fiction buffs. If you like a mystery with a factual base and lots of detail, you will like it. The author really lets you into the lives of the characters, who are all real historical people by the way. Their true fates are woven into the story. You also get a very detailed idea of the Hindenburg, which was fascinating! Do try it! Sounds like it’s right up my alley. As long as there is some good character development I will probably love it! I honestly haven’t even looked at books scheduled to be published this year yet. I have a few favorite authors whose new releases I always jump on, but I haven’t gine digging for updateson any of them. 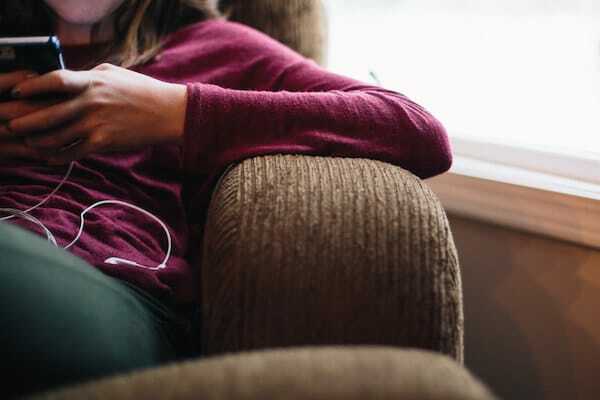 Up until I started using good reads and blogging about books the ONLY time I read or learned about New Releases was when I saw them at my small town library or if I happened to be browsing at Costco or an actual bookstore. That has changed soooo much, but at the beginning of the year, I’m always stuck on the old default. I kind of like the element of surprise. It’s like the Christmas morning of books to happen on a new release by accident. Yet again, another book to add to my reading list after finishing reading one of your posts! Eligible looks so intriguing! My TBR list just grew several books! I can’t wait for the new Gamache book in August, I already pre-ordered it! I had no idea another Gamache novel was already slated for release–so excited to hear it! I am assuming you are talking about the Louise Penny series with Inspector Gamache. I have yet to read the last one I have in my tablet. I had better get reading it! I made a similar post on my blog of my top 10 books to read this year, including The Readers of Broken Wheel, Wolf Winter by Cecilia Ekback, A Constellation of Vital Phenomena by Anthony Marra and Wherever There is Light by Peter Golden. I forgot about Eligible! I want to read that book for sure. 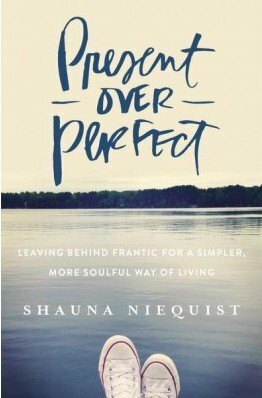 Here’s my list of 10 books I’m looking forward to in the first half of the year: http://www.momsradius.com/2015/12/top-ten-tuesday-5-most-anticipated.html. I already read The Things We Keep, and I really liked it. I *almost* included Tell Me Three Things on this list! And I have TWO copies of The Things We Keep on my TBR shelf right now. I keep hearing buzz about it, but with Alzheimer’s in my family to say the plot line totally freaks me out is an understatement. Yeah. I’d probably skip it if Alzheimer’s is more of a reality for you. It’s not as descriptive as Still Alice, but it still depicts the horrors of that disease. I’ve been waiting for your post for books published this year so I can pick one for the challenge. Oh my…..I don’t think I’ll be able to pick just one! My to-read list just grew bigger! 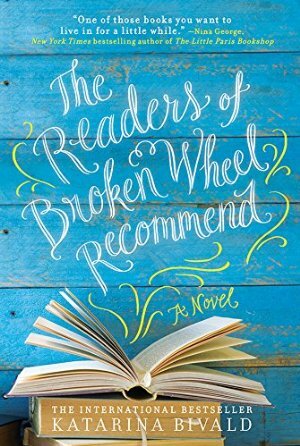 LOL The Readers of Broken Wheel definitely sounds like a book I would enjoy. Night Driving has piqued my interest. I’ve not read When We Were on Fire. Should I read that first? 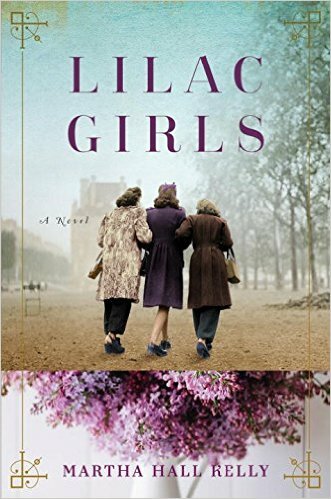 The Summer Before the War, Heartless, and Lilac Girls: A Novel all sound like they would be good. Ah, such a fabulous list. 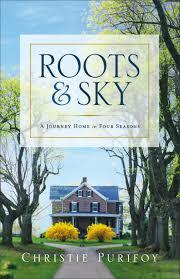 What a thrill to see Roots and Sky included here. There are several authors I’ve really enjoyed on here (Wendell Berry, Pavone and Niequist). I had no idea they had new books coming out. Much to look forward too! It seems like there are lots of good titles on here! I learned about Elizabeth Esther’s new book on Goodreads the other day, and I am personally looking forward to the MDBC selection regardless of the fact that I am 38 years old, haha! 🙂 I just read Bread and Wine (my first of hers), so her new book sounds good. The Christie Purifoy book sounds very good (hey, she’s right above me! 😉 ), and I need to read to read Addie Zierman’s first book….but her second sounds good! Great picks! I am also really looking forward to The Travelers. I still need to read The Accident. Re: The Readers of Broken Wheel Recommend. I’m pretty sure it came out sometime last year. I remember spotting it on the shelf at the bookstore. Maybe it was only released here in Canada. Ooo I forgot! I’m also looking forward to Paul Kalanithi’s memoir ‘When Breath Becomes Air’ which comes out tomorrow!? That one’s on my list, too. I want to read this one too. But am so sad he is gone! I see two books that will fulfill two categories of the 2016 reading challenge for me! Some of these look fantastic! I don’t have any new releases I’m tracking just yet for 2016. Ooh these look great! 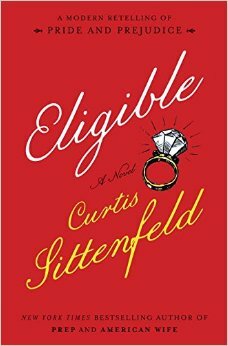 I’ll definitely have to read Eligible – any Pride and Prejudice retelling is good with me! This list looks great! These look good! I’m looking forward to Jonathan Sadfer Foer’s new one- Here I Am, Anne Tyler’s revamp of The Taming of the Shrew, and The Lives of Elves by Muriel Barbery. And maybe The Queen of the Night by Chee. Err… *Safran Foer. And the Tyler book is called Vinegar Girl. I can’t wait for the next Susanna Kearsley book! And I always read everything by Lauren Willig. And Simone St. James. I highly recommend all three of these authors. Several historical mystery series I’m looking for the next entries in: Victoria Speedwell by Deanna Raybourn, Lady Darby by Anna Lee Huber, and Amory Ames by Ashely Weaver. And, of course, some YA. Agree with you about Heartless. Dying for the next Leigh Bardugo book to follow up Six of Crows and Sabaa Tahir’s follow up to An Ember in the Ashes. Both of the next Sarah J Maas books. The next Illuminae Book by Amie Kaufman and the next Rae Carson book. New authors: Into the Dim by Janet B. Taylor and America’s First Daughter by Stephanie Dray. I haven’t read Six of Crows yet! Thanks for the reminder. I’m super excited for Eligible. I’ve been tracking that one for a while now. I usually don’t care for modern retellings, but have been pleasantly surprised by the other Jane Austen Project books. Plus I really liked Sittenfeld’s other books. What are the other titles in the austen project? I’m way behind. They’re by Val McDermid, Joanna Trolloppe, and Alexander McCall Smith. My kids and I read all of Rick Riordan’s books, and he has a new one coming out in May, “The Trials of Apollo.” I’m also looking forward to “Die Like an Eagle” the next in the Meg Langslow series by Donna Andrews and Louise Penny’s next book in the Inspector Gamanche series. Definitely wanting to read “The Travelers” and “Present over Perfect.” You’ve also given me more titles to add to my TBR list. (which should probably be called books that I want to read but will probably only get to a small fraction in this lifetime.) I’m interested in the Pride and Prejudice retelling, but hesitant. I wasn’t impressed with Emma by Alexander McCall Smith. I love his books, and I thought that would be a great combo, but it didn’t really work. I wasn’t impressed with Emma either (although I wouldn’t have missed it). I’m with you with being hesitant on the P&P retelling. Is there a new Louise Penny coming out soon? I hope so! Next Gamache book expected in August 2016! Louise announced the date this week! I’m looking forward to Bill Bryson’s The Road to Little Dribbling. Since it comes out January 19, I don’t have long to wait. 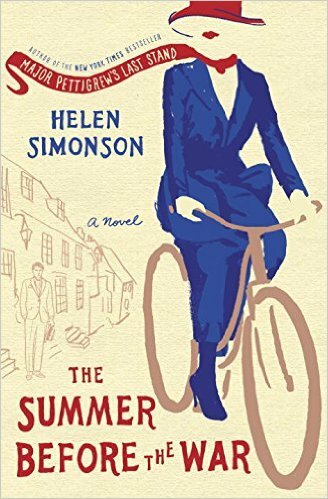 I’ve added The Summer before the War to my list because I so enjoyed Major Pettigrew’s Last Stand. I foresee many pleasant hours of reading in 2016 for all of us. I’m looking forward to Susan Meissner’s new book- it came out last week but I have yet to read it. I’m also impatiently waiting for the third installment of The 5th Wave series. And, now thanks to you I know Ariel Lawhon will have a new book out too so I’m excited to read that book too. I have been out of the loop on new releases so I’m glad you wrote this! I didn’t know about half of these. 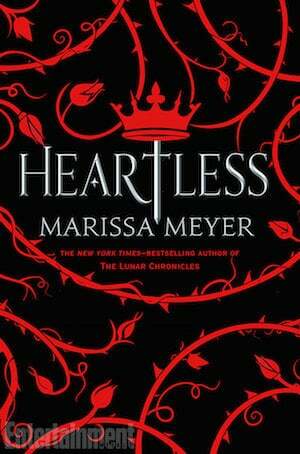 I had not heard about Heartless and since I finished reading Winter a few days ago, I’m over the moon that I won’t have to wait too long before I can read another Marissa Meyer creation. Cindy Coloma is a longtime friend of mine, and The Waiting offers an amazing story that is well written. It has 557 reviews on Amazon with an average of 4.9! Wow! I don’t think I’ve EVER seen an average rating that high! Come to think of it, Anne, I don’t think I have seen an average rating that high either. The Waiting is truly a wonderful read and one that has stayed with me. Another book I enjoyed is an older one by Marjorie Rawlings called The Sojourner, her final novel published in 1953; an Amazon reviewer called it her “forgotten masterpiece.” While it may be too “slow” for today’s readers, the characters stay with you, and you are truly swept away to another place and another time. Read the five-star reviews on Amazon, and I think you’ll be convinced that it is a worthy read. I was so grateful I picked it up at a used book sale! Heartless is definitely on my list. And the final installment of Stephen King’s Bill Hodges series. I long for it and dread it at the same time. Such a great list! I loved The Summer Before the War and Flight of Dreams, and am SO looking forward to Night Driving and Roots and Sky. And MDBC book 7! I’m finally going to read Crossing to Safety this year, and Searching for Sunday, and so many more books (I’m sure). 😉 I’m also looking forward to the new Maisie Dobbs mystery, Ruta Sepetys’ latest YA novel, Amy Cuddy’s Presence (just out), and Eleanor Brown’s novel The Light of Paris. Your to-read list has such good titles on it! Thanks for the low-down on a new Maisie Dobbs mystery. I so like Jacqueline Winspear’s books! I am really looking forward to reading I Know Why The Caged Bird Sings by Maya Angelou. I like your book selection, thank you for sharing. 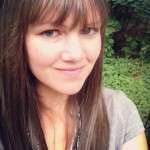 Anne how can I get become your “friend” on Goodreads? It would save me time, since I try lots of what you read/recommend. I love this list! Thank you for sharing it. I can’t wait for some of these titles. This looks like an awesome list! Here are two I can’t wait to read: The Ringmaster’s Wife by Kristy Cambron and Brush of Wings( 3rd book in Angels Walking Series) by Karen Kingsbury. Some very interesting titles to put on my list! Thanks! I would like to add one to yours–The Mubwon Chronicles. It will be out next week, but I got to read an advanced copy. It is science fiction/fantasy by a new author. Very interesting! 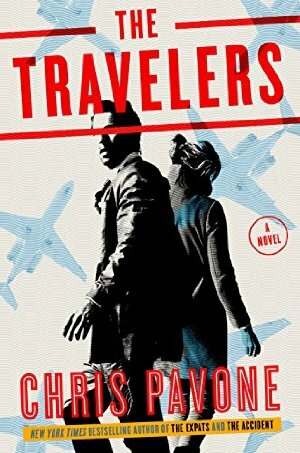 Have you read The Travelers yet? I just finished and am so curious what you thought. For the record, I loved his first two books.